FLAGSTAFF, Ariz.--(BUSINESS WIRE)-- W. L. Gore & Associates, Inc. (Gore) announced FDA 510(k) clearance, approval from the Japanese Ministry of Health, Labour, and Welfare, and receipt of CE Mark for the innovative GORE® Molding & Occlusion Balloon, a compliant polyurethane balloon catheter designed in close collaboration with clinicians to assist in the expansion of self-expanding stent grafts or to temporarily occlude large-diameter vessels. 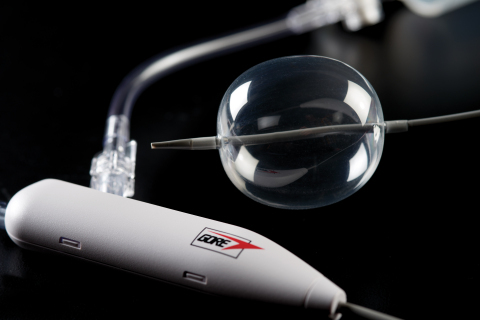 The new device meets all endovascular aortic repair (EVAR) procedural requirements – a single balloon that replaces the need for multiple molding and occlusion balloons. GORE®, GORE-TEX®, EXCLUDER®, TAG®, are trademarks of W. L. Gore & Associates. Source: W. L. Gore & Associates, Inc.